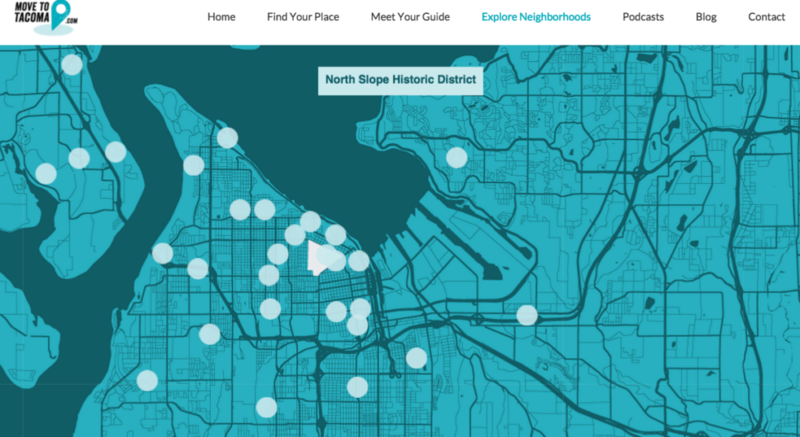 We’re excited to announce our new Clickable Tacoma Neighborhood Map. A common issue people moving to Tacoma have is trying to find a way to get the lay of the land. Where are the neighborhoods in relation to each other? What does each neighborhood look like? These are the questions we’re hoping the new neighborhood guide and clickable map will answer! We still have lots more in depth neighborhood profiles to complete in order to fill in the map, but the neighborhoods below are on their way, and we’ll be working on the rest as fast as we can. In the meantime, we hope this neighborhood map is useful! Click here to explore the Clickable Tacoma Neighborhood Map!